The Toughbook 54 14-inch laptop is just 1.9 kilograms (4.19 pounds), much lighter than its predecessor, the Toughbook 53, which was over 2.5 kilograms. Panasonic has also doubled memory capacity of the laptop to 16GB, and included a spare bay to improve storage capacity. The Toughbook isn't going to compete on weight with laptops marketed as being super light, such as Dell's XPS 13, which weights a bit more than 1 kilogram. But it is much tougher, thanks to a magnesium alloy chassis that can withstand drops of just under 1 meter. 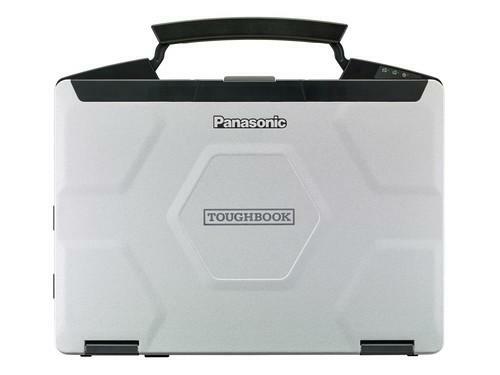 The Toughbook 54 has a handle, making it look much like a mini-suitcase. Panasonic has also managed to expand the battery life of the laptop by up to 11 hours with one battery, and 18 hours with two batteries. Some of the power benefits come thanks to the power-efficient Intel Core processor based on the Broadwell architecture, which was released by Intel just last month. The Toughbook 53 was based an older Intel Core chip code-named Haswell. The Toughbook 54 will ship this month starting at US$1,499 and is targeted at business users. The base model will come with a 720p screen that can be upgraded to a full high-definition resolution. The laptop can be configured to include a 1TB hard drive in one slot, and a 256GB solid-state drive in the second slot, which is plenty of storage compared to other laptops. Heaters will keep the storage drives warm in cold environments. Other features on the laptop include USB 3.0, HDMI and Ethernet slots. A graphics card from AMD can be added to the laptop at extra cost. By default, the laptop has 802.11ac Wi-Fi, and optional 4G LTE is also available. Users will be able to buy the laptop with Windows 8.1 or Windows 7 Professional operating systems.